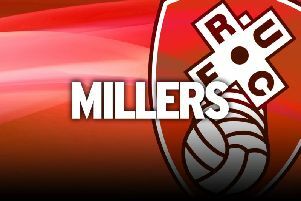 Rotherham boss Paul Warne has a midfield conundrum ahead of his side's Championship visit to Blackburn on Saturday. Will Vaulks will see his ever-present record come to an end at Ewood Park as he serves a one-match ban. Vaulks has played every minute of every league match for the Millers so far this season, but has picked up five yellow cards along the way. Warne has several options by way of a replacement, which include Matty Palmer, Ben Wiles or moving Semi Ajayi forward from defence. The manager admits that the threat of Rovers star man Bradley Dack could come into his thinking as the Millers look to build on back-to-back away points. “Will Vaulks is missing through suspension, that is the only real alteration to my squad,” Warne said at his pre-match press conference. “He misses one game and I am hoping that whoever comes in keeps him out of the side because it means they will have done something really good. “It's no drama but Will has been one of our outstanding performers this year, so it is a disappointment for him because he likes to play every game. “We have a few options, I am well aware of how good Dack is. “He is probably the best number 10 in the league at the moment so I have to be aware of him. Meanwhile, Warne has revealed that his defensive options will be bolstered by the return of Sean Raggett after the international break. The Norwich loanee has not played since injuring his ankle in September and went under the knife. However, he has returned to training on the grass this week and should join the main group after the latest hiatus. “Sean Raggett has now spent the whole week on the grass, not with me but with the physios,” Warne said. “We are hoping that he will join in with the week after the international break.